Ashish Gadnis is the Co-Founder / CEO of the award winning blockchain application BanQu. BanQu is the first ever blockchain Economic Identity platform (patent pending) and network that creates long-term economic resilience / independence for refugees and people living in extreme poverty across the globe. He is also currently, a senior strategic advisor to multiple global organizations on the Sustainable Development Goals 2030 agenda. Prior to his current engagements, Mr. Gadnis was the founder and CEO of multiple technology startups, the last one of which was acquired by a $1.5 billion global consulting firm in 2012. Over the past 25 years Ashish has been recognized for his private / public sector contributions with awards such as – MIT Innovate for Refugees (Syrian refugees) award, Young Global Leader (World Economic Forum), Minority Business Leader (Twin Cities Business), 40 under 40 (Business Journal), Change-Makers Innovator Award (Coding Schools in Refugee Camps in East Africa) and Battery Ventures Innovation Award – Democratic Republic of Congo (for Asili: a mobile / cloud-based business focused on reducing infant child mortality, improving maternal health and increasing livelihood in conflict zones). 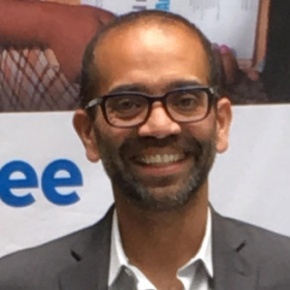 Ashish has a Bachelor’s degree in Systems Engineering from Bombay University, MBA in Finance and Marketing from the Carlson School and Executive Education in Global Leadership and Public Policy from Harvard Kennedy School.